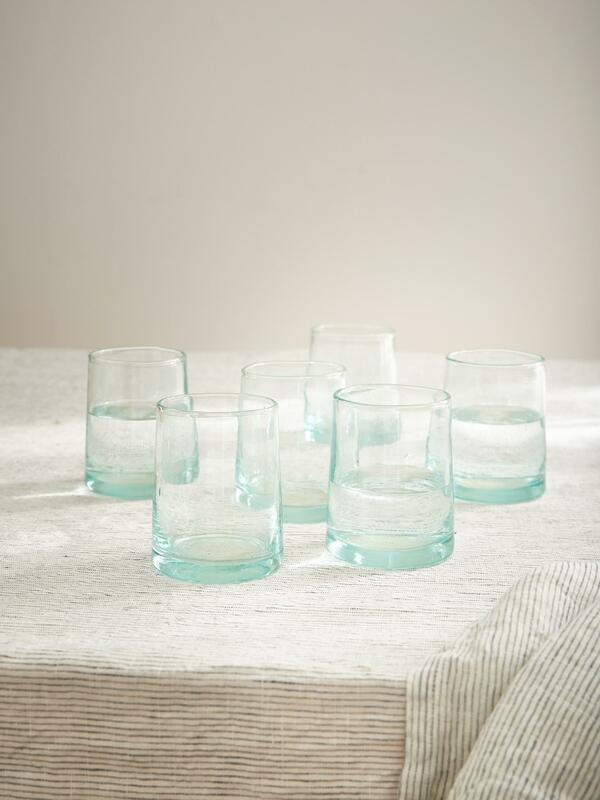 Used traditionally for serving tea in Morocco, the Beldi glass is a must-have on your table. Use without moderation! Set of 6 mouth-blown glasses. Base diameter, 7.5cm approx. Top diameter, 6cm approx. Height, 9cm approx. Dishwasher-safe. Made in Morocco.